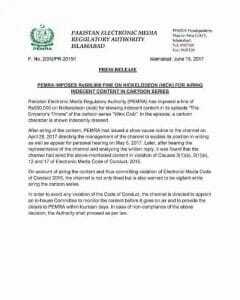 PEMRA imposes fine on Nicklodeon! Nicklodeon is one of the most watched cartoon channels among our younger population. But PEMRA was not pleased with the channel when they aired an episode of show called ‘Winx Club’. 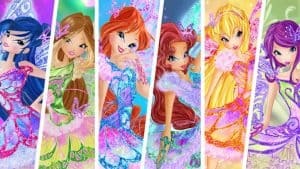 Winx Club is an Italian animated series that studios in America bought and dubbed. It has been around for over a decade and still is a popular show for many children. The show follows a group of young girls who are also fairies. PEMRA has imposed a fine of Rs.500,000 on channel as in one of the episodes the characters were ‘indecently dressed’. They were shown wearing bathing suits. PEMRA issued a notice to Nicklodeon on 28th April and after further investigations has imposed a fine of 500,000. PEMRA is finally very active these days and nation wishes they will also look into the matters now more often and will impose acquired punishments in contrast to just issuing notices what they have previously done.